Not far from where I sit-for-a-bit on my walk in our woods, I found a nest of wasps. Built underground, beneath the roots of a spruce tree, this nest has been revealed by some digging marauder (a skunk or raccoon) trying to get at the wasp larvae. The nest is interesting to watch, but caution is necessary. When I found the nest, I took a little time to learn the difference between wasps and hornets. Hornets build their nests above ground and are larger, with black and white striped bodies. Wasps sometimes build nests underground and are small (1-2.5 cm), with black and yellow striped bodies. The insects in the underground nest are definitely wasps. 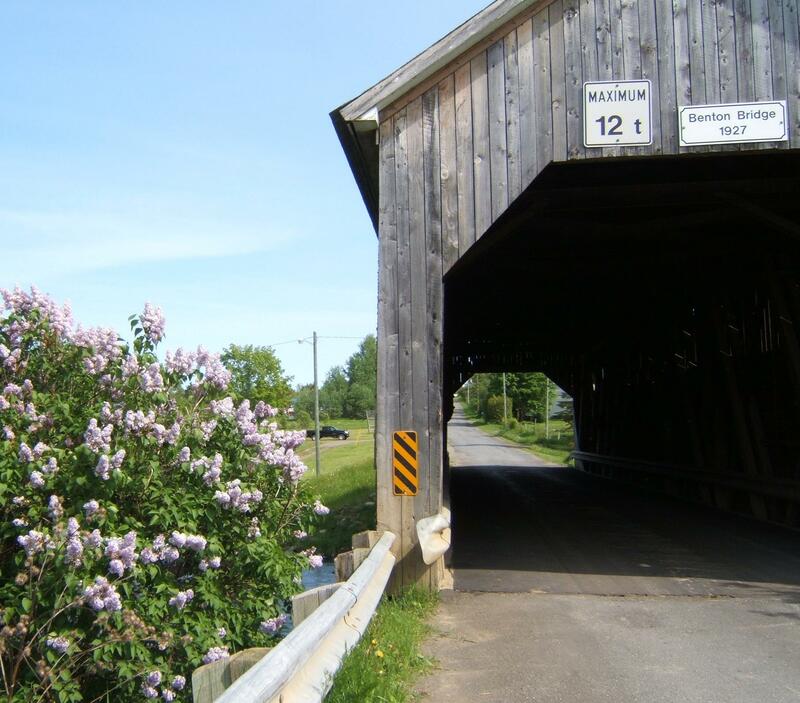 These days, I am having a great time visiting some of the covered bridges in New Brunswick. I have visited many of the bridges before, but mostly to learn about their history. 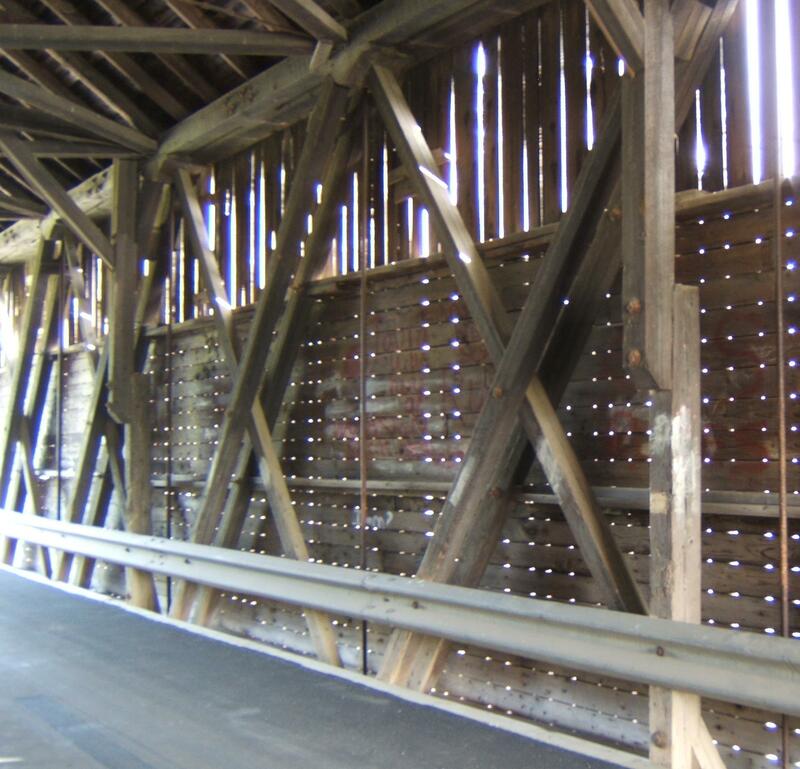 Now I am planning a project to look at the plants and animals living in or around covered bridges, so I am trying to get a feel for the subject to see what species I am likely to meet. 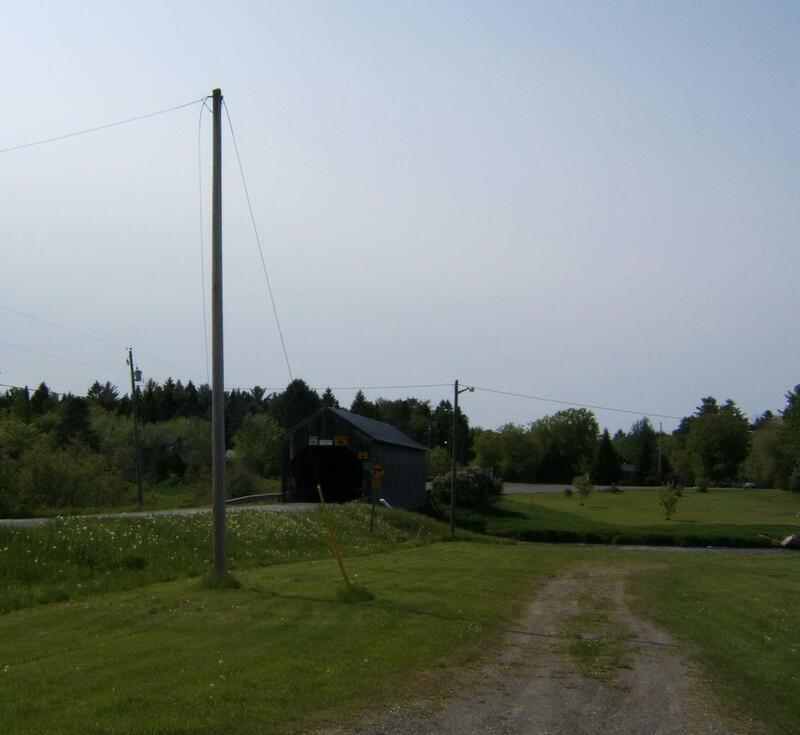 This weekend, we visited the Benton Covered Bridge (Eel River #3) in west-central New Brunswick. Benton is a small community on the Eel River. The bridge, 31.9 meters long, was built in 1927. 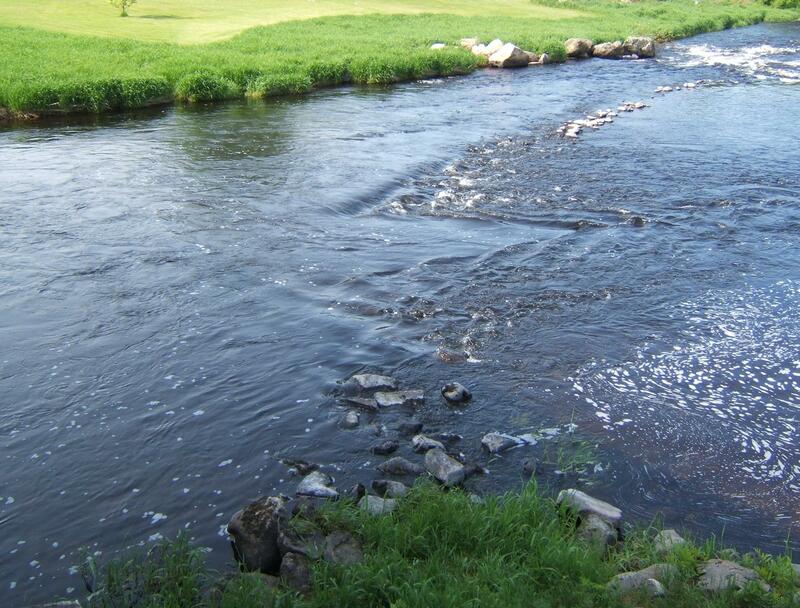 The Eel River is a pleasant shallow river. When we were there, people were fishing with rod and reel. We noticed a digger log had been installed in the river, often done as a way of encouraging the river to dig deeper pools and improve fish habitat. My search for wild life in and around the bridge was rewarded by the discovery of Stonefly nymphs clinging to the wooden walls of the bridge. Not particularly beautiful to me, the nymph is a life-stage on the way to the adult form. Stoneflies (Order Plecoptera) are identified by their narrow bodies and the long pair of cerci at the end of the abdomen (cerci are long appendages on the rear abdomen of many insects). I was never any good at insect identification when I worked in the field of water quality, so I am not certain which Family of the Order Plecoptera they belong to. There were Stonefly nymphs all over the bridge walls, inside and out. I was happy to see these insects because they are an indicator of good to excellent water quality. 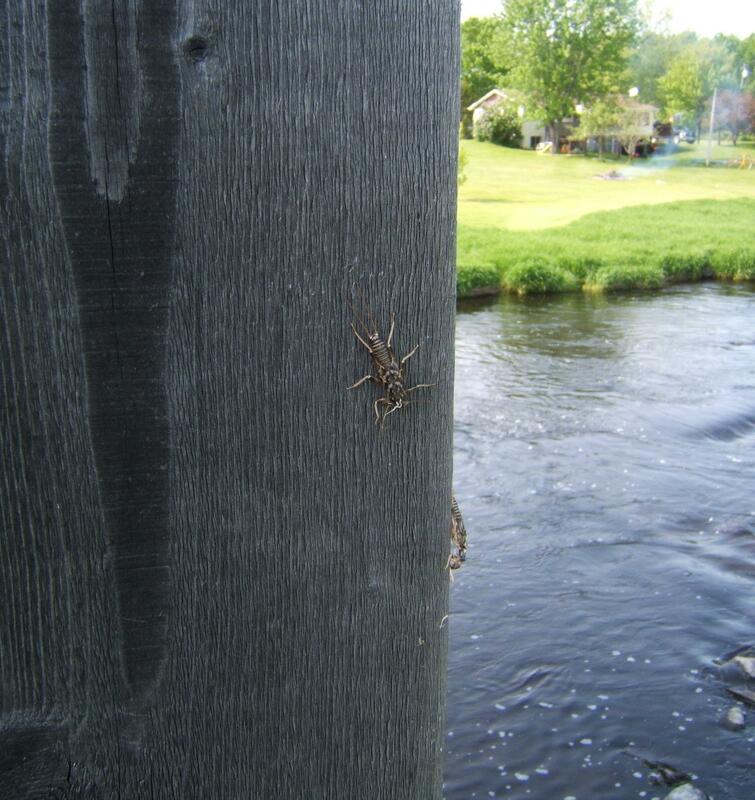 Anglers love to see these insects in a stream or river because it usually means good fishing. I nudged one of the nymphs with a pen and he did not budge a millimeter. In spite of his inaction, I am certain he will be the hero of a future poem about life in the shelter of the covered bridge!